Dr. Bill Nelsen was Augustana's 17th president, serving from 1980-86. Dr. Nelsen came to Augustana from St. Olaf College where he was Vice President and Dean of the College. Dr. Charles Balcer served as the University's 16th president from 1965-80. He came to Augustana from St. Cloud State University where he was Dean of Academic Administration. Located across from the Madsen Center on Summit Avenue, the apartments are in close proximity to the Mikkelsen Library and Froiland Science Complex. Each of the eight apartments houses four students, making a total of 32 students who will be calling the apartments home this fall. The $1.8 million project was closely modeled after the existing Summit Avenue Apartments, which are the most popular housing options among students. The six main floor apartments feature two levels: the main level consists of a kitchen, dining area, living space and a full bathroom while the upper level contains the four bedrooms and another full bathroom with multiple sinks. The two lower-level apartments are ranch-style, one of which is compliant with the Americans with Disabilities Act accessibility guidelines. 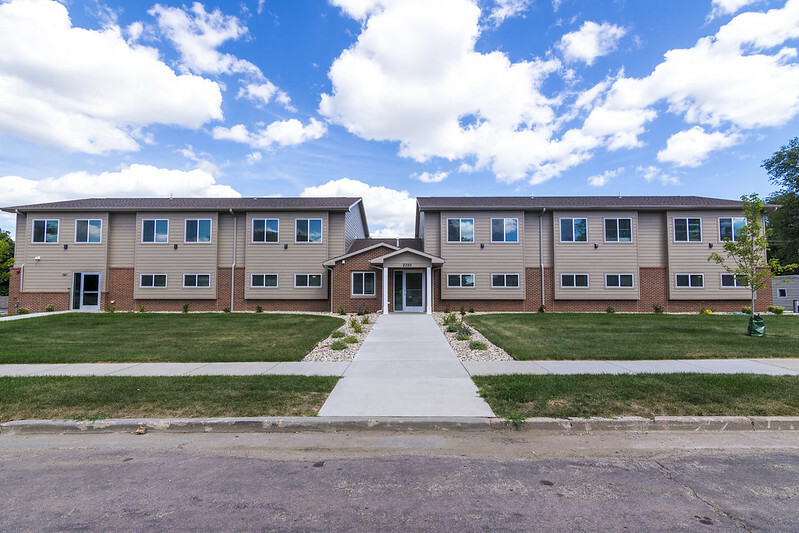 The Nelsen Apartments will be dedicated at 10 a.m. Thursday, Sept. 14, along with the renamed Balcer Apartments (formerly Summit Avenue Apartments).